At Commercial Loan Corporation we specialize in assisting clients with the financing they need to keep a parents low property tax rate on an inherited property. Transferring a Parents of Grandparents property tax rate can be a extremely beneficial; in fact, on average we save our clients over $6,000 per year in property taxes. Taking advantage of the California Proposition 58 property tax benefits can be very complicated and we always advice that you use the services of a qualified Attorney or Resident Property Tax Specialist. With so much potential property tax savings on the line, you want to make sure that all of the rules are followed and that all of the documents are processed correctly. Failing to do so may disqualify you from an Exclusion From Property Tax Reassessment. Michael Wyatt is a residential property tax specialist and specializes in helping clients preserve a parents low Proposition 13 protected property tax rate when a home is transferred or inherited. Often times he works with clients where the inherited real estate is contained in a trust or is part of an estate. It can be a very complex matter. If the property is not transferred appropriately or the financing is not done in accordance with California law, you may become ineligible to retain a parents property tax base rate and the home may be reassessed at current market value. We have worked with Michael Wyatt’s Property Tax Consulting Firm on several occasions and highly recommend him. Michael Wyatt Property Tax Consulting works with the clients of attorneys, CPAs, financial planners, and real estate professionals to minimize real property tax assessments before or after transactions involving the transfer or purchase of real estate. One of the reasons why Michael Wyatt’s services are so valuable when it comes to keeping a parents low property tax rate is that he formerly worked for the Orange County Tax Assessor’s Office for almost 25 years. So he has the first hand experience to make sure you obtain the tax savings that you deserve. Prior to becoming a California Residential Property Tax Consultant, Michael worked as a Legal Analyst at the County Tax Assessors Office. 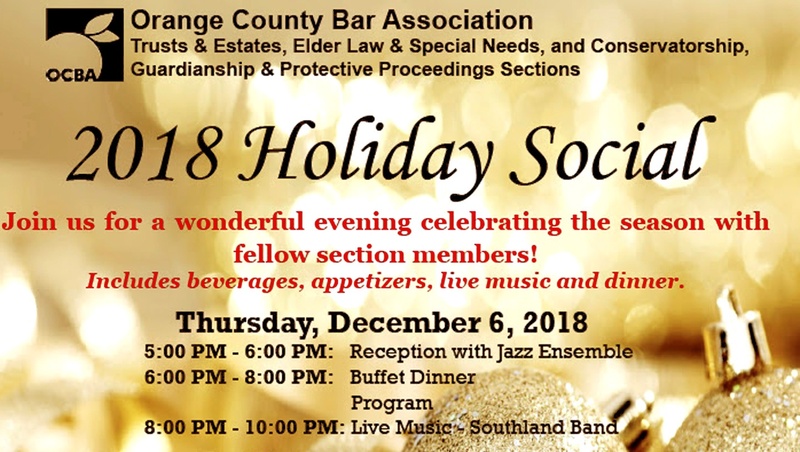 During that time, Michael observed many real estate transactions that had undesired results due to property owners either never consulting with counsel, or advisers were not familiar with property tax law and its consequences. Michael Wyatt became a Property Tax Consultant in order to help advisers and their clients avoid those unintended results, and plan and structure their real property transactions to achieve their goals. 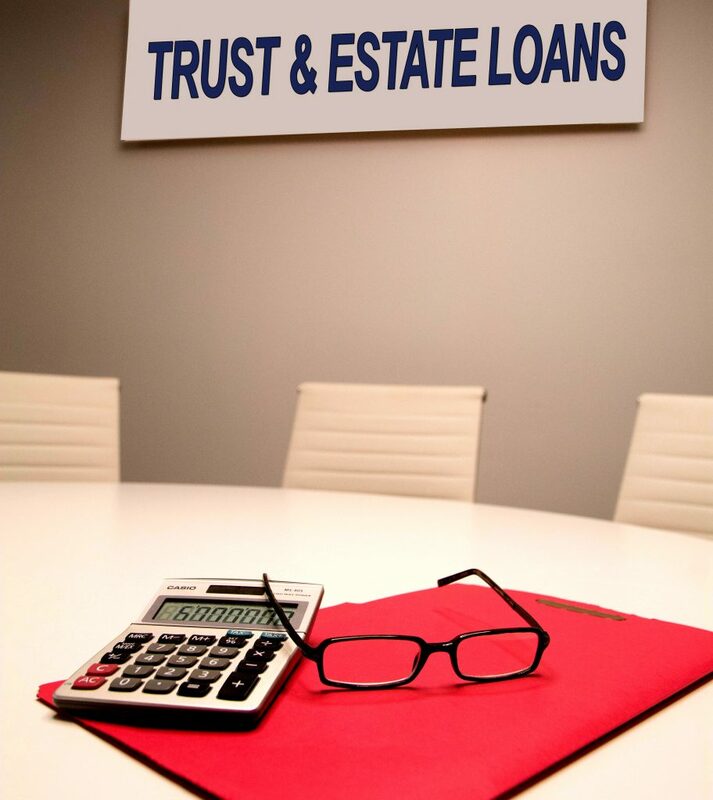 If you are in need of Trust or Estate financing or are interested in preserving a parents low property taxes on an inherited home, please call us at 877-464-1066 so that we may assist you. We can help you put together a plan of action and review your potential property tax savings with you. When it comes to choosing a California Private Money Lender or California Hard Money Lender, you have a handful of options to choose from. Selecting the right one might be more important than you think. For instance, choosing the best private mortgage lender can have a significant impact on your pocketbook. Lenders make money on a loan in a few different ways. The most common ways are through fees, interest rate premiums and penalties. One of the most important things that separates Commercial Loan Corporation from other California Private Money Lenders is that we do not charge any form of prepayment penalties, we offer competitive fees and have some of the lowest interest rates in the hard money lending marketplace. Prepayment penalties alone can cost a borrower potentially tens of thousands of dollars or even worse, trap them in a high interest rate loan that they no longer want or need! Another important factor to consider when selecting the right private money lender is customer service. We are aware, that in this day and age, the phrase “Customer Service” almost sounds sarcastic. 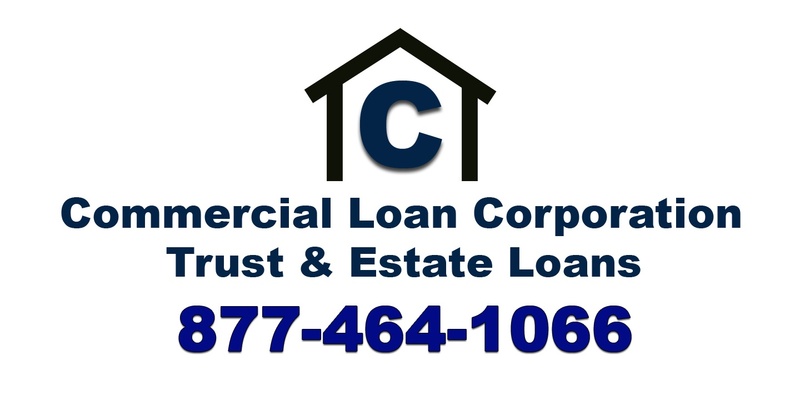 At Commercial Loan Corporation you are more than just a loan number. We might be a relatively small private money lender, but we are big on the customer experience. Regardless of your loan amount, you will always be treated with respect and courtesy by every member of our team. It is a sincere goal of ours to provide you with the fastest and best mortgage transaction that you have ever experienced. In many cases, we can fund a private money loan to a trust or estate in as little as 7 days. Please view some of our recent customer testimonials located here. As you may be aware, in some situations California Proposition 58 grants residents the ability to transfer Real Estate along with a Proposition 13 protected property tax base from a parent to child. Sometimes in order to qualify for this exclusion against reassessment of property taxes, the beneficiary or heir may require a private money bridge loan or hard money loan. When it comes to Trust & Estate Bridge Loans and Third Party Private Money Loans to Trusts and Estates, experience with these types of loans is critical. The truth is that most California hard money lenders either never or rarely lend money to a trust or estate for Proposition 58 tax benefit purposes. If the financing is not conducted properly, the County Tax Assessors office is likely to reject the borrowers requests for a property tax reassessment exclusion. Even a small mistake could mean missing out on possibly thousands of dollars annually in property tax savings. At Commercial Loan Corporation, we specializes in providing short term financing and bridge loans to help our clients obtain Proposition 58 property tax reassessment exclusions. Every member of the Commercial Loan Corporation team has at least 15 years of mortgage experience and combined, our team has over 90 years of mortgage experience. 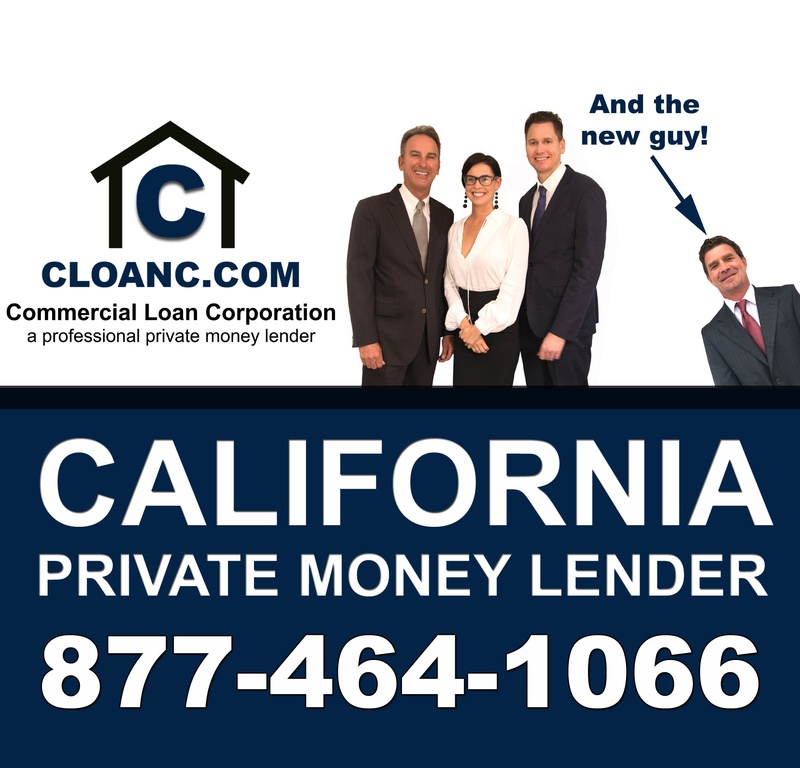 Commercial Loan Corporation is a Professional California Private Money Lender. Please call us at 877-464-1066 for assistance or click here to request additional information online. Why Choose Commercial Loan Corporation? There are several things that separate Commercial Loan Corporation from other California private money lenders. Perhaps most important is that Commercial Loan Corporation specializes in loans to trusts with the specific goal of retaining the original prop 13 tax status. There are a few lenders that consider these transactions occasionally but these loans are a small percentage of what they do. It is critically important that this transaction is done correctly to ensure that the county doesn’t reassess the property. There are a lot of mistakes that can be made if it’s not done correctly. We work directly with both the customer and the attorney to assist in this process. We have adjusted our documents with the help of numerous attorneys to provide a seamless transition when the property is distributed from the trust to the individual taking the property in the distribution from the trust. We understand the process better than most, because it’s all we focus on. And we are the lender so we make all of the decisions ourselves. You are right at the source. Another very important thing that separates us from anyone out there is our policy on early payment. You will find that other private money lenders want to make as much interest as possible off of the transaction. This is not a bad thing. Companies are in business to make a profit. However, our policy on prepayment penalties helps us stand apart from other lenders. Most lenders, in addition to their loan costs, require a pre-payment penalty of some sort. This can be a standard 6 month or 1 year early payoff penalty or in some cases can be a specific number of months of required interest. If a lender requires that you make 3 or 6 payments of interest on a loan prior to being paid off, it is the same thing as a prepayment penalty. A requirement for certain number on month’s interest guarantees a lender that the loan will be more profitable. If a borrower is required to make a specific number of interest payments, it adds to the cost of the loan. For example, if a borrower is required to make 90 days of payments on a loan, it is the equivalent of adding 2 to 3 percent of the loan amount in loan costs. Commercial Loan Corporation has no prepayment penalties of any kind. None. This can be extremely beneficial to the customer financially. If the money to pay the loan back is readily available we have worked with customers that pay off our loan immediately eliminating virtually any interest costs on the loan. This means that the initial fees charged for the loan is the entire cost of the loan. Say the customer has a personal line of credit available to pay off our loan from their lending institution. We can work with them to determine the best timing to fund our loan depending on the availability of their funds. If we fund our loan on Monday, they can pay off our loan on Tuesday, effectively eliminating the accrual of interest. This can be a great tool to potentially save thousands of dollars in interest payments. We also work with the attorney and the customer to decide when to file the re-conveyance showing that the loan has been paid off. Some of the attorneys we work with want to wait to file the reconveyence (proof the loan is paid off) until they are satisfied that the county has concluded the Exemption for Reassessment of property taxes. We can accommodate the preference of the attorney in the timing of filing the reconveyence. Don’t let any of this confuse you, we are here to answer any questions you have on the subject and look forward to helping! We tend to do business the old-fashioned way. We do what we say we’re going to do and we focus on speed and customer service. For assistance, contact us at 877-464-1066 or call our California Account Executive Mike Riggs at 714-442-8901 or mriggs@cloanc.com. Welcoming Mike Riggs, Our New California Trust Loan Account Executive! 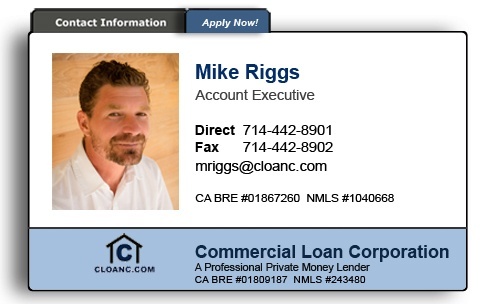 Commercial Loan Corporation is pleased to welcome Mike Riggs to our team! Mike is our latest hire and specializes in providing our clients with trust and estate financing. If you are a borrower in need of a trust loan to provide liquidity to an illiquid trust so that you can preserve a low Proposition 13 tax base, or an attorney looking to assist your client in avoiding a property tax reassessment, Mike is here to assist you. “I graduated from Northern Arizona University in 1996 with a technical writing degree, then straight out of college began doing long range boat deliveries where I earned enough sea time to get my captain’s license. Then came my first of 3 children which required a more stationary lifestyle. I started my 21 year career in finance as a finance manager for a friends car dealership. Though the industry was not ideal for me, I really enjoyed the financing side of the business. I found it was very satisfying helping people accomplish their financial goals. I did this for about 4 years until he sold the business, at which time I moved into the real estate finance world. Since that time I have been a loan originator, Vice President of Production for a mortgage company doing 400 loans a month, and a Sr. Executive Mortgage Banker producing enough volume to be named one of the top 100 originators in the country. Mike Riggs, our Trust Loan, Estate Loan and Probate Loan Account Executive can be reached at 714-442-8901 or by email at mriggs@cloanc.com. If you are interested in more information on a trust loan to avoid property tax reassessment, please complete the short form located here.